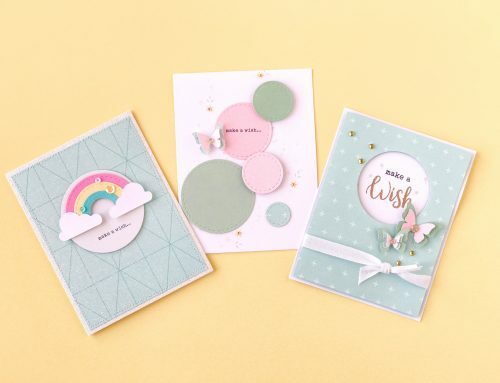 Introducing Sunny Studio stamps and a GIVEAWAY! Happy Friday SCT friends! First let me say it was great to hear what you've been up to lately in your comments on yesterday's blog post. It's one of the reasons I love this blog and that feeling of connection with you! As the Publisher, I don't have the opportunity to meet all our readers so I appreciate that you check in here and share! And because you checked in today, I have a fabulous new company to share with you! 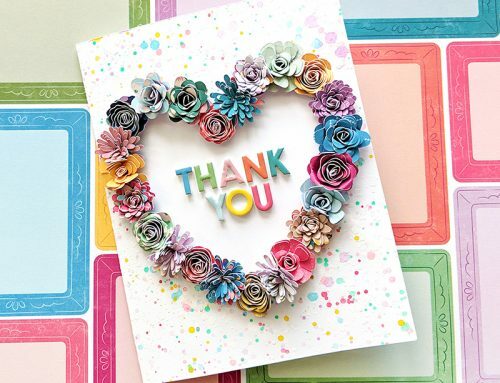 "As a loyal fan of Scrapbook & Cards Today, I'm thrilled to have the opportunity to share my new company with you. My name is Mendi Yoshikawa and I'm the proud owner and designer behind Sunny Studio Stamps. We specialize in creating playful photo polymer stamps and coordinating dies made only from the best materials right here in the USA. Today we are giving away two of our most popular stamp sets, Bundled Up and Snow Kissed, to one lucky winner. Just leave a comment telling me what themes you'd love to see in a future stamp set for your chance to win. Thank you Mendi and from all of us here at SCT, we wish you the best of luck! SCT friends I would love it if, after leaving your comment below, you could stop by the Sunny Studio facebook page and congratulate Mendi on her the launch of Sunny Studio. Be sure to also "like" Sunny Studio so you can stay up to date on all the new sets Mendi will be releasing. I remember those early days well and a warm "hello" from you would certainly make her day…or anyone's day for that matter! It's all about sharing kindness right? I'm thrilled you joined us today. Remember that our limited edition kits, including our brand new Life in Pockets kit, will be on sale at 9:00 pm tonight HERE. A little "to me, from me, love me" gift perhaps? Yay for Sunny Studio Stamps + Mendi! I love the little penguins on these sets. So cute!!! One year I hope to choose one theme and stick to it for Christmas cards, and penguins are way high on my list! As for future themes, I am looking for a “FAMILY” line, with images and words that could be used for scrapbook pages &/or cards. Nice stamp sets! Off to check out her Facebook page. Oh, I just love these two sets. Winter is just my most favorite time of the year, much to the dismay of my family and friends. LOL! These two sets are perfect with all snowflakes, scarves and hats. The penguins are adorable and I can envision dressing them up and setting them up in winter scenes. These sets are perfect and I hope that they will be available in stores. Love, love them. Great creations. In future I love all animals. How about somethings with cute deer or foxes? So stinking cute, I just love penguins. I would love to create with them so many possibilities I would love to see owls, and moose, and cute little critters. thanks for the opportunity. Love these penguins super cute! I would love to see school related stamps. While these stamps are amazing and cute, I would love to see an adult-like ‘happy hour’ stamp set. I made a b’day card for a 50 yrs old guy and on the inside I had hoped to find a stamp to mock up a bottle of bacardi rum or vodka, and a bar glass w ice cubes, but alas… I ended up w crazy birds cos cutesie just didn’t seem to cut it for a man’s 50th b’day. These are adorable! I love things that are “paper doll” like. My daughter would have a blast dressing this little guy. I would also love to see a hedgehog theme! Sunny Studio is AWESOME! These stamp sets are so cute! Those penguins make me smile! So adorable! So adorable! Makes me think of “Happy Feet”. Wow, these stamps are super cute! I love the cute critters and sayings! I would love to see a “family” set. I can never get enough of those! So cute, love the clever sentiments. Would love to see woodland creatures with spring accessories. Since there are so many Christmas products in the blogosphere, I’d love to see some Valentine’s Day items! Such cute stamps! I would love some Mr. and Mrs sets. Both of my children were married within the past year. Those stamps are so cute!! Owls, cute deer would be awesome!! I would like to see crowns for birthdays or babies, for example: a little prince/princess is born. These are so cute!! Love them!! As for the future, I always love flowers!! I would love to see different types of flowers. Adorable sets. Those penguins are too cute. Very cute sets. I would like to see a farm animal set. HI Great stamps. I would like to see reindeer, owls, skunks in the future. I have a few sets from Sunny Studios and they are FANTASTIC! I’ve already made quite a few projects with them. I highly recommend the fishtail banner dies…I can’t stop using them! Congratulations Mendi on starting your new company. I’m sure I will be buying from you for years to come!! These stamps are adorable. I would like to see a set of nature stamps…leaves, flowers, bees, butterflies etc. I would love to see a stamp set that has realistic looking four wheelers, snow machines and motorcycles. Or a stamp set that has realistic looking rifles, shotguns, pistols and bows. I have searched the www for sets that have these images and have had NO luck finding them!!! There are many wheelie enthusiasts and hunters that want to be able to scrapbook their adventures too! TFS! I love these penguins, so adorable! I would love to see flamango stamps in the future. Good luck with your new company. I will be looking forward to seeing what you design next. I would like to see something with dogs, deer or owls. LOVE the penguin sets you have now. so adorable. Congratulations, Mendi! I admire your talent & courage to start your own business! The sets look adorable–love that you have one for winter birthdays & thank yous! Most of the cards I send are friendship–just to surprise someone & hopefully make their day, so that’s the theme I’d love to see. Really cute stamps! I would like to see masculine stamps such as fishing. Awwww Man….I LOVE penguins and your giveaway is awesome. I can’t get into my facebook page right now so Congrats to Mendi on your launch. That’s so cool. I’ll be checking out your treasures and shopping!!! Adorable penguins! Thanks for the chance! Love, love, LOVE the penguins!!! These penguins are so cute! I would love to see dogs in future sets, specifically chihuahuas!! Love penguins! Thanks for the opportunity to win. Right now, I am really craving a “partridge in a pear tree” stamp set. Delightful stamps! Thanks for the chance to win! Very cute stamps. Would like to see some transportation theme stamps. I love penguins and skiing so those 2 sets are a must for me. They are tops on my Christmas wishlist. I would love to see other little critters that would fit the same accessories that the penguin set has. These sets are adorable, and I’ve been a long-time admirer of your creative scrapbook pages! I’d love to see a set themed toward camping and outdoors. Thanks Mendi! I love cute images and these certainly fit the bill! Congratulations Mendi on the launch of your new company!!! I’ve had a difficult time lately finding a general sentiments stamp set that has a different font for each sentiment. Would love to see something like that. Your stamps are adorable! I will definitely be checking out your other collections. Thanks for the chance to win this fun set! I love these new stamps and just recently purchased and starting creating with a few sets!! They are awesome! very cute and fitting for the season. Love the little penguins. The one snow skiing is darling. I just like little animals doing things you wouldn’t associate with them. thanks and good luck with your new endeavor. I find I use the same stamps a LOT, but always need sentiments! I love looking at Mendi’s scrapbook pages. I am so happy for her. These stamps are so cute. So cute stamps!! Love so much! Great giveaway? Love love love these adorable penguins!!! So many possibilities for many different cards and never have the same one!!!! Thank you for the opportunity to win. I love the thought, A little “to me, from me, love me” gift perhaps? VERY CUTE!!! Your stamps are so cute! I love anything from nature, and sentiments are always great. Big Congradulations Mendi. I wish you the best success. I just adore the penquin stamps. How so nice they would be to make some beautiful Christmas cardsa with. Something I don’t have is penquin stamps and I am just loving the look of them. Thank you for a chance to win these beautiful sets. Would love these stamp sets. Penguins are my favorite and I only recently discovered Sunny Studios. out of control. I need to find a way to save for more craft yummies. Unfortunately, health issues and their costs keep things on my wish list. Fabulous company and stamps. Thanks for sharing bout Sunny Studios. Hi, I love these stamps i have a boy obsessed with penguins so they are perfect. I would love to see owls (I can’t get enough) and some images for teen boys like surfing images. I love your images. I would like to see something beach-themed. I love penguins! These stamp sets are adorable. Lots of fun things to mix and match! Really cute stamps. Love them. How about some cute babies, or unusual birds, stained glass, funny houses at odd angles or musical instruments. Spring stamps with butterflies and flowers. I love these stamp too. I would like to see some stamps for use on guy’s cards that don’t include tools, hunting, cars and fishing. Something more generic but masculine. Also I have a friend who has had me looking for a good, realistic stamp of a beaver for years. What adorable sets!!! I would love to see Reindeer, Pigs, Horses and maybe even a seal. I love the 2 stamp sets you have offered to a winner, they are so cute! I would love to see stamps of cats and dogs. I’m sure that there are a lot of pet lovers that love to scrapbook and make cards. Congrats on your new company. these stamps are so cute. Would like some good sentiments. Congratulations on starting a new company. Love the stamp sets shown…so darn cute those penguins. I like to make all types of cards and scrapbooking layouts so any new designs would be good but I don’t have a lot of masculine stamps. Masculine cards are not easy to make so could we have some masculine type stamps – cars; trucks; boats; anchors; campers….. various animals would nice too. So cute! Good luck with the new company! I know a penguin lover. I would like to see stamps that commemorate crafters. Cute stamps! Congrats on starting your stamp and die company! I would like to see polar bears, deer, a woodland stamp set, gingerbread men and ladies with gingerbread houses, dachshunds, birthday sets, air balloons, kites, and an east indian themed stamp set – elephants, paisley, peacocks, etc. Mendi, these stamps are so cute! I love the penguins! I would love to see some larger flower stamps (like a beautiful peony) in the future. I am always looking for stamps. I like the sets here for the giveaway and am going to check out Facebook and the site. Congratulations on this business venture Mendi. I wish you the best of success. Thank you SBCT for keeping us up to date on the current scrappy news. I love the penguins! I would like to see more cute stamps for little boys. I love penguins! great stamp sets! Adorable penquins! I like all the options to use with him too. I would like to see a cute kitty with maybe some toys, scratching post, bed, etc. for scrapbooking photos of my furry friend. Thanks for the giveaway! So cute! I would love to see a moon and stars set. And any type of critter stamps! 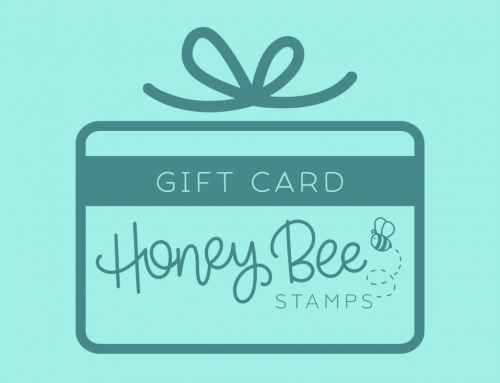 Super cute new stamp company! Love the cuteness! Winter, birthday and Christmas – great sentiments too. You asked a very unfair question of us, but to answer it to the best of my ability everything. I love cute little animals, love baby animals, or maybe even dolls or little girls and boys. Oh that question leaves the door wide open for some many answers. These stamps are adorable! I love seasonal stamps, especially fall themes. Thanks for the giveaway. Cute, cute stamp sets. I would love to see more “larger” items/figures to color with whatever medium people want to use. Also, I love a matching die set! Oh my! These are such cute sets! Congrats on starting your new company!!! I love how cute your stamps are! I would love to see some adorable little farm animals such as cows, chickens, sheep, and pigs. Some accessories such as a barn, fence and maybe a tractor, too. 😀 Thanks for a chance to win. Love the stamp sets. They are full of so many possibilities. One thing that I would like to see are some graduation themed stamps. I just can’t find any that I like. Good Luck to you, Mendi! Those sets are super cute, I’m sure you’re new venture will be a sunny one!! Oh I forgot to say, I’d like to see book related stamps for those of us who love reading. I have seen snowman stamps you can dress but never penguins. How cure! I am always on the look out for birthday sentiments. Longer sentiments that can be put inside a card. oh I love new stamps!!! I love supporting the newer companies! !How cute is that penguin!!! Thank you for the awesome chance! THANK YOU for generously sponsoring this giveaway and giving us the chance to win!!! These are adorable! I am heading right over to your site to check out your other stamps and dies. I love dies. . . . can’t get enough of them! I would love to see items related to graduation. Some really great banner, grad caps, gowns, carpet diem type dies would be fantastic. I have quadruplets graduating high school in June. I am looking for items to add to their grad scrapbook. I’d love to see a travel set – penguins (or any cute little critter) with suitcases and cameras would be adorable! These stamps are adorable! I would love to see future sets with rabbits! I LOVE that a new stamp company is starting – so fantastic! Thanks for introducing me to them and for the chance to win. Love the penguins — I always like flowers, leaves, and other nature items such as pine cones, ferns. Awww those penguins are so cute! Sunny Studios was put into my favorites a couple weeks ago – yay! I’d love to see a bonsai set (Hubby does this as a hobby & I have a hard time finding anything). Also, different birds. I love owls. Good luck, Mendi! Your art work is so cute! I’d love to see birthday themes or more sentiments! These stamps are adorable. I would love to see stamps for teenage BOYS, nothing cute. My guys are science, technology, gamer, robotic, karate, math and engineering type guys – but NOT nerds. Not sure this is Sunny Studios type of thing though. These sets are so adorable! I love penguin and critter stamp sets. A couple ideas… A co-worker stamp set, wedding set and maybe pet sympathy. Beautiful stamp sets! I would like to see fflower and baby sets! Of course the holiday stamps for throughout the year, but I would love to see something that makes your heart happy Mendi. Congratulations on your new company, I wish you many fun times ahead. Awwww, those stamps are way too cute! Love them! Thanks for the chance to win. Congratulations Mendi on starting your company. With what I’ve seen, you will be going far in your endeavors. Have to say, my niece would go crazy over the penguins which is one of her favorites. Love new companies with such fun stamps. I’d love to see some stamps that could be used with vintage photos as I’m trying to preserve family photos from over the last 120 years or so. It’ make it a lot faster with stamps for events and people from the past. Picnics and family dinners, great grandparents, cousins, etc. Both word and pictures. Old fashioned aprons, irons, cast iron frying pans, etc. Good luck. Looking forward to purchasing some of your stamps in the future. Cute stamps. I’m going to go look at the site & see what they have to offer. Congratulations on your new venture! Thanks for sharing with us! Congratulations Mendi on this new creative journey! I love these stamps and would LOVE to add them to my collection! Thanks SCT for the giveaway! Fingers crossed. Hugs. Thanks for the chance to win your sweet giveaway! “Furry Friends” such as pandas,koalas,deer and bears would be a fun stamp set. These are adorable! I would like to see camping themes or scout themes. I purchased from Sunny Studio shortly after Mendi started the company and I was totally pleased with the product and the service. Adorable stamp set. Thanks for the opportunity o win. I would like to see a set of phrases for typical cards : thank you, birthday, thinking of you, etc. I love your penguin stamps! They are my favorites stamp sets. For future stamp sets, I would like to see Valentine’s day, Easter, Mother’s Day, Father’s Day sets. Also, I love flowers stamps. And, how about a stamp set that is just sentiments since I love the look of your sentiments in your current stamp sets. I also like sentiment stamps sets that have coordinating sentiments for the inside and outside of a card. Congrats Mendi! I love your products and have purchased some of them. Looking forward to future releases! 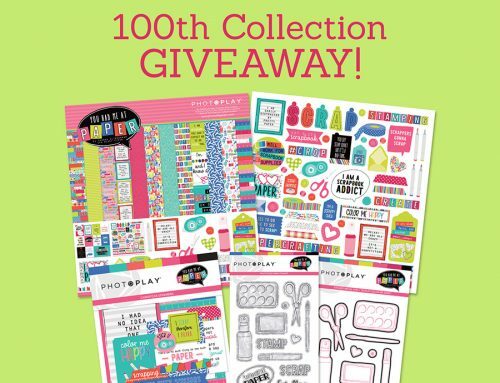 These sets are adorable and I would love a chance to win them! I think some “you’ve got mail” stamps would be a great addition. I have been a fan of Sunny Studios for awhile but unfortunately haven’t gotten any of the sets yet. I love their cute cat sets and their penguins are super adorable. Mendi is extremely talented and has some unique sets. I love seeing new companies appear in the stamping world! I would b in heaven if you had a few hedgehog stamp sets. Congratulations on your new business, Mendi! I only discovered your blog a week or two ago and fell in love with the penguins immediately! Surely whatever you design next will be wonderful. Best Wishes! I love the penquins and would love to see some more cute critters. Chicks and ducks and bunnies at Easter would be nice. Thanks for the giveaway! Mendi’s stamps are really cute. Looking forward to seeing more in the future. Adorable stamps!! I think those penguins are just so cute! Versatile sentiments are always something I look for in a stamp set. Wow… Great stamp sets! So great get to know the new company! Thanks! What an awesome giveaway!!! I love finding new stamps!! love the penguins – love to see some Easter Stamps. Super cute! Off to check out her site! Wishing you all the best in this new adventure! Future designs could be cooking, food, travel. Your new stamps are adorable…wonderful winter sets! As we enter into the winter season, my thoughts are for spring and summer…so I would like to see some fun summer images! congrats mendi! these stamp sets are amazing and super cute! I totally ?!! so sweet of you to do this awesome giveaway!! I would love for you to design an adorable panda for valentines or a friendship theme. that would be great! I would definitely love to be blessed with these cute stamps! thanks so much for a chance at winning! happy hugs and many more blessings to you ?!! ? These stamp sets are so cute! I would love to see stamps revolving around love, peace and kindness like 1 Corinthians 13:4 Love is patient, love is kind. 1 Corinthians 13:8 Love never fails. 1 Corinthians 13:7 love always protects, always trusts, always hopes, always perseveres. OH, I love these stamps! SO cute!! Congrats Mendi on the launch of Sunny Studios! Thanks Mendi. Those penguins are adorable! These stamp sets are so adorable! I would have so much fun creating cards with these. For a future theme I would love see CATS! Love the Penguins. Lots of accessories to change them up. Oh, these are adorable! I’ve never heard of your stamps before now, but would certainly be interested in purchasing them. I’d like to see something birthday-related. As a new scrapbooking addict thanks to my sister! I would love to try out stamping! Aren’t they the cutest stamps!!! They will make the most amazing cards and scrapbooking pages. Thanks for the chance to win. I would love to win. I love penguins and these ones are so cute! I also like the idea of adding accessories like the scarf and mufflers. Congrats on starting a stamp company! I like alphabet sets and funny / punny greetings! These stamp sets are just too cute and I would love to add them to my small collection of stamps. I would love to see more family themed sets in the future. Thanks. These stamps are so adorable and perfect fit the annual Christmas cards I make. Future stamps I’d love to see are teddy bears, lions and deers. Just saw your adorable penguins and would love to add them to my collection. A suggestion for a future set would be pandas. My Granddaughter is a panda fanatic and that would be perfect for her. These sets are so cute and would be awesome to win. I love penguin! So cute! For future stamps, I would like to see angels and also turtles! Mendi, these are adorable sets! Those little penguins melt my heart and make me want to stamp! The stamps are adorable!! Left some love for Mendi on her FB page. All the best for her new and exciting venture ? Love the Penguins. So cute, so many possibilities. Your stamps are lovely. They are so cute. I would like more critter stamps. I love these stamp sets! They are so adorable! I love pretty much any theme that includes animals so any animal theme would be perfect! I’d really like to see a summer theme set that had animals like chinchillas Guinea pigs, squirrels, and more. I love these stamps! I’m definitely checking out the new brand Sunny Studio Stamps. These are seriously cute little guys. I’ve got to go check out her other sets. A chanukah stamp set would be much appreciated! Beautiful stamps. I love it!! As the one stamp set says, “thanks snow much” for an opportunity to win!! Who doesn’t like penguins? So cute. How cute!!! would love to win. thanks for the opportunity. Very cute sets! I would love to see wedding or baby themed stamps. This would be a perfect addition to my slim pickings stamp set that I have so far, these are adorable! How exciting to start up a new company, I wish you all the best! Happy Birthday and Happy Anniversary themed stamps would be awesome, I’d use them regularly with making my monthly family cards. Hey for comic stamps. These really float my boat (that’s probably a bit old fashioned way of speaking but, well over the age of twenty, who’s kidding). Such cute stamp sets and the sentiments make them so versatile. Adorable! Thank you so much for all your wonderful products. Happy Thanksgiving. These stamps look absolutely fantastic. Living in Australia and particularly sunny Queensland, we don’t see penguins or snow unless you visit our southerly states but I think all those stamps are so cute and just puts you in mind of Christmas. Go Sunny Studios!!!! Great success in your new business Mendi. These stamps are so cute. The penguins make me want to dance and the accessories are plentiful. Keep on creating. Very cute penguins and really happy for Mendi. Adorable! I love the Thanks SNOW much sentiment! Congratulations on starting your own business. I would like to see owl or kitty. Went to beach with family years ago and called the seagulls penguins in error. So we love penguins. Me me pick me. I will give them a good home I promise,and use them often. Thank you, and have a great Thanksgiving. What cute stamps! I wish Mendi the best of luck with her new company! Now, I think I need to go pay Sunny Studios a visit! Congrats on starting your own stamp company! They are adorable. I’d love to see birthday, anniversary, valentines, stuff for boys (I have 3 sons), thank you, sympathy, spring, squirrels, pumpkins, fall, halloween with/for kids, and christmas with/for kids are the themes I create for the most. And would love to see in future stamps. Hope I gave you some ideas. It is always so exciting to hear about a new scrapbooking business starting. It is wonderful that you provide the opportunity for Mendi to get her name out there. A hearty congrats to Mendi and team!!! these are so adorable. . . love the ski glasses on that lil penguin, gave me quite the chuckle. The imagination is such a wonderful thing. 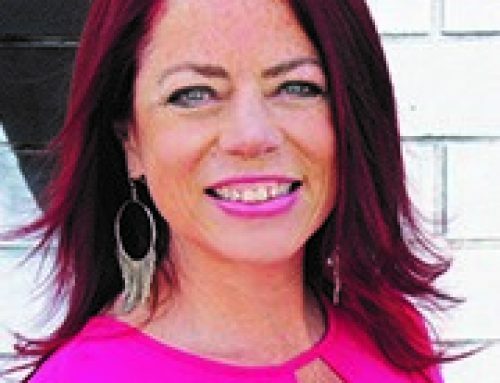 . .
Congratulations on your new venture, Mendi! I would love to see a marching band stamp set, including a saxophone. Lots of band kids and very few band stamps. I would love to be able to create little gift tags for writing the kids name and stamping the band instruments. Those are so darn cute. They would make excellent Christmas cards or for embellishments on scrapbook pages. For future stamps, I would love to see something for masculine cards – boats, anchors, cars, trucks, etc.